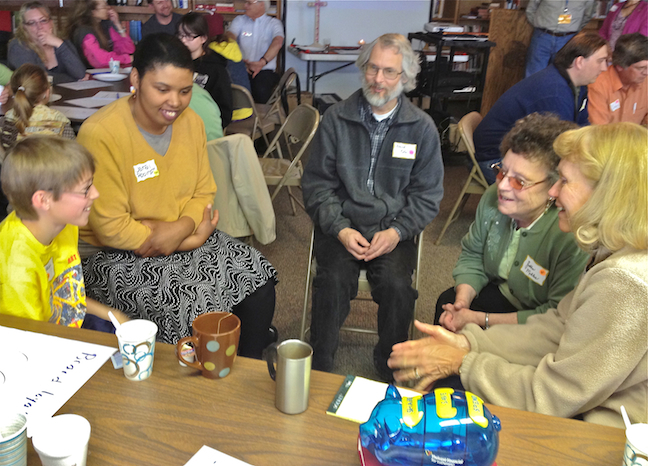 Yes, that means Sunday School Faith Sharing – and more! For Everyone! All together, in the same space and place. All Saints Day is a day of remembering and celebrating the saints – Christians who have come before us and those living among us. All Saints Day invites us to hear the witness of faith by people as recorded in our Scriptures and as posted on Facebook, reflected upon in blogs or sent as tweets. It is a tradition in many congregations to remember those who have died during the previous year with the reading of names and the lighting of candles. This day is also an opportunity to honor those in our families, congregations, community and around the world, who are “heroes by faith” every single day. A cross+generational learning exchange is a means to bring the generations together to “remember” and share the treasures of faith through stories of faith. When communities of faith bring adults, in all stages of life, together with children of all ages, to interact and learn – the experience is richer for everyone. Stories are shared, faith is nurtured, and authentic, caring relationships flourish. 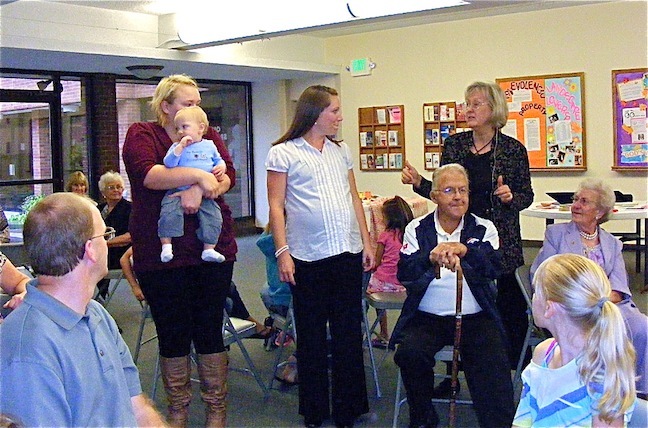 A cross+generational exchange IS the Sunday School or learning time for the day. This is also an opportunity for an extended celebration that includes a meal. • Provide 4×6 note cards for households or individuals to write the names of loved ones who have died (one name per card). Instructions include: provide DOB & DOD and a sentence about something that symbolizes the person’s life. Each cross+generational group of 4-5 people takes a card and together designs a memorial stone in honor of the person written on the note card. (A guide to forming a small group of diverse ages is found at the end of this blog.) If you do this activity as household units at church, be intentional about forming new “households” of single individuals. Or invite existing households to include individuals as the adopted cousin, aunt/uncle or grandpa/grandma. Leave no one behind or alone! 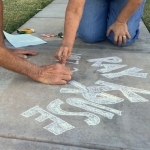 Using chalk, create “memorial stones” using the squares of the sidewalk surrounding the church. If no sidewalks or inclement weather – use squares of newsprint then post the memorials to the walls surrounding the gathering space. • This activity may also be offered as people enter for worship. Set-up a small table with an explanation of the Memorial Stone Project. Invite people, as they arrive, to write the name(s) of those they wish to honor on the note cards. 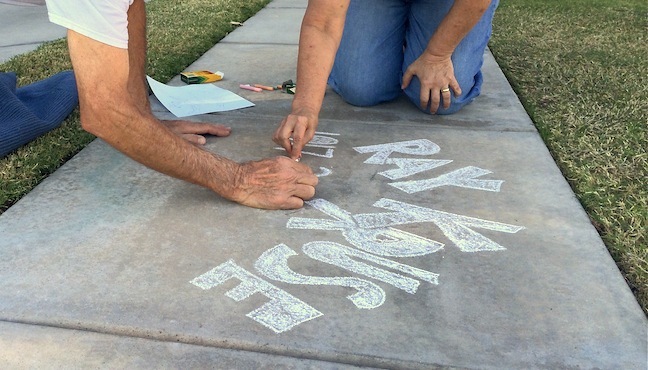 During worship, the cross+generational“Memorial Team” designs each tribute on the squares of the sidewalk surrounding the church or on large newsprint then displayed in a gathering space where all will enter following worship. • Using construction paper cut-out individual clouds, approx. 2 per sheet. Invite individuals of all ages to write on the cloud, the name of someone who has influenced his/her life of faith, living or whom has died. Children might draw a picture of someone they know who loves them or has told them about Jesus. Place the clouds on the walls around your gathering space. 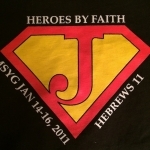 Invite the individuals in each cross+generational small group to share who has influenced his/her life of faith. Invite children to name someone who loves and cares for them. Or name some one who has told them about Jesus. • This idea could also be incorporated into the worship service, inviting people to take his/her “cloud(s)” into the worship space and attach it to the wall prior to worship beginning. Arrange to have the names read during worship. Have people share with one or two others about the person they honored or a name they recognize. “By faith . . .” Hebrews 11, a recounting of the faith stories of our Christian ancestors who have come before us. This is an opportunity for community outreach. Arrange for households or the cross+generational small groups to send letters of thanks, or cookies made by the gathered community, to those in your neighborhood who risk their lives to keep you safe: your local police officers, those serving at your local fire station, emergency room at the nearest hospital, cross+walk patrols, veterans, etc. 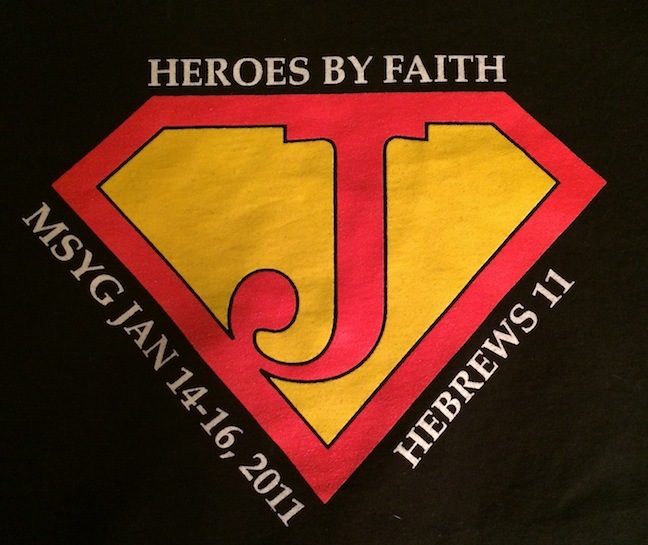 The theme of the 2011 Rocky Mountain Synod – ELCA Middle School Youth gathering was “Heroes by Faith,” based on Hebrews 11. Instead of one keynote speaker, several people spoke. One could hear a pin drop as 800 youth were totally engaged in the story of life and faith of a young person with Aspergers. 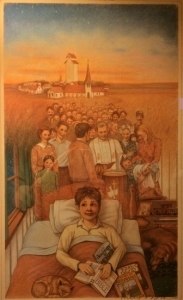 All Saints Day is a time to invite stories of faith from those among you – folks of all ages! Invite 5-7 people representing a minimum of 3 generations to form a team to add interactive elements to worship and plan the cross+generational gathering. Include voices from ethnic groups, youth and young adults involved in your congregation, as well as the oldest members. Encourage parents and children to attend. Offer child-care for those 3 and younger, as an option. Or create a cozy corner in the large group gathering space, with pillows, books and quiet toys. Be intentional with personal invites and offering of rides to elders. The meaningfulness of cross+generational interaction increases with a broad representation of generations, especially elders and wisdom keepers of the congregation. • Simply ask people to form a circle, each decade joining the circle as called. (Those in their 90’s. 80’s, 70’s etc.) Count off around the circle by the total number present, divided by 5. [Ex: 100 present, so count off by 20] Hint: Begin counting with the teens present and ask them to be the group facilitator. The youngest of children (4 or 5 and below) are counted as one unit with their parent/care-giver. All like numbers gather to make-up the small group. (Should be no more than 5 in each group, with at least 3 generations represented). Pull chairs closely together so all can easily hear.